- Easy to read back light LCD display with 20 mm digits/back light can be turned off. 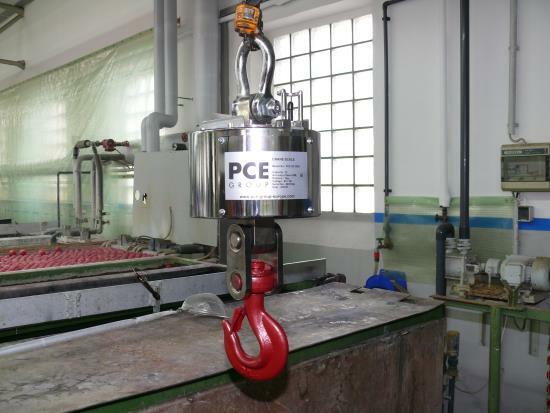 - Wireless data transference (430/450 MHz) at a distance up to 20 m.
- Stainless steel link and galvanized hook. - Memory and sum up functions. 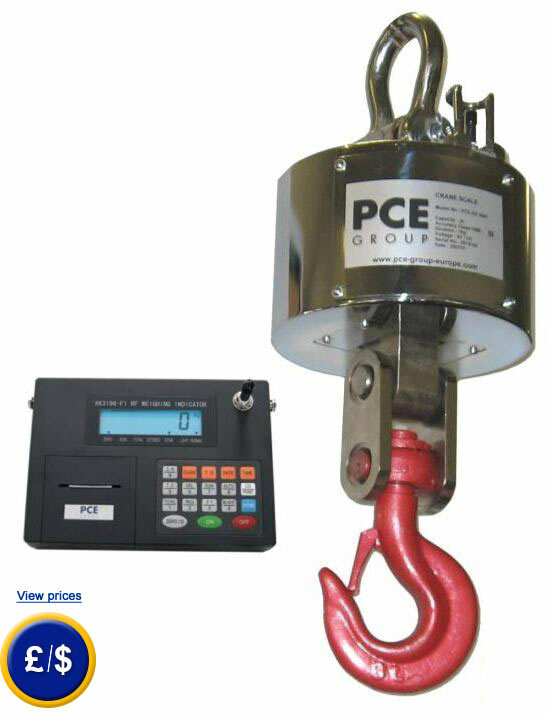 1 x Crane scale PCE-XS 3000 with hook, 1 x internal accumulator, 1 x plug, 1 x remote control (batteries are included), 4 x replacement paper rolls to print weighing data, 1 x replacement printing tape, 1 x link, 1 x hook, 1 x carrying case and user manual. 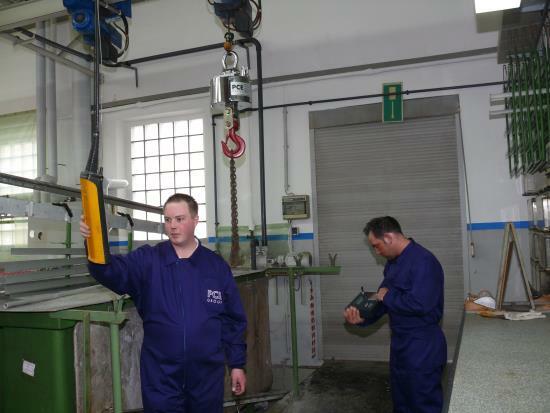 For companies that wish to integrate the industrial scale into their internal quality control system or for annual reclaibrations. 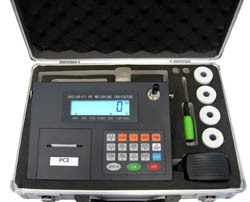 Calibration procedure includes laboratory calibration process and ISO certification. The customer's name and address are included. These certificates are accepted all over the world.